Teton Village resides approximately 12 miles northwest of Jackson Hole. Skiers take on Rendezvous Peak boasting the largest vertical rise in the USA at 4,139 feet. Situated at the base of the 10, 536 foot mountain is a Swiss-style Teton Village containing everything one could want from: lodges to condominiums, coffee shops to high end restaurants. Teton Village is a skiers haven, both beginners and elite alike. Give one of our local experts a call today! 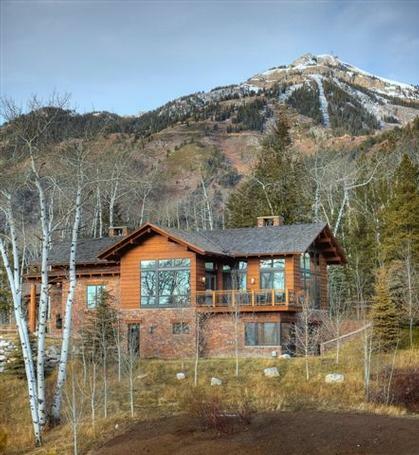 A rare opportunity to own a luxury home at the base of Teton Village is now available! Peak Property Investments, LLC takes all reasonable care to ensure that the information contained on this website is accurate, we cannot guarantee its accuracy and we reserve the right to change the information on this website (including these terms and conditions) at any time. Representations or warranties of any kind with respect to this website cannot be provided. Important Notice: Peak Property Investments, LLC is not associated with the government, and our service is not approved by the government or your lender. Even if you accept this offer and use our service, your lender may not agree to change your loan. You may stop doing business with us at any time. You may accept or reject the offer of mortgage assistance we obtain from your lender (or servicer). If you reject the offer, you will have to pay us what has been previously agreed upon in our listing contract for our services. ©2019 Peak Property Investments, LLC.